So, in light of the fact I'm not updating as regularly as before and I'm playing a bit of catch-up over Christmas break, I've re-vamped the concepts of Designer and Product of the week. I'll write as I have time instead of trying to stick to once a week for both, calling them Designer Bios and Product Reviews. That way, I'll be able to stay on track with school and the blog. 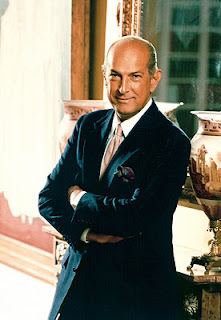 Next up on the list is famed designer Oscar de la Renta. Oscar was born in the Dominican Republic and is half-Dominican and half-Puerto Rican. He studied painting at the Academy of San Fernando in Madrid and was an apprentice to Cristobal Balenciaga. He was offered jobs at both Elizabeth Arden and Christian Dior, and was torn between both amazing opportunities. When he asked for advice from his good friend Diana Vreeland, former editor-in-chief for Vogue, she told Oscar he'd always be behind the Dior name if he went there. So he took the Elizabeth Arden job and has made a name for himself ever since. He won the CFDA Lifetime Achievement Award in February 1990, and his clothes have graced many in the White House, including Hillary Clinton, Nancy Reagan, and Laura and Jenna Bush. 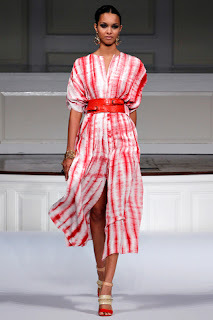 Oscar de la Renta's lines are sold at Saks Fifth Avenue and Nieman Marcus, as well as in free-standing stores around the world. US stores are located in Costa Mesa, Los Angeles, Bal Harbour, Las Vegas, Central Valley (NY), Manhasset (NY), Manhattan, and Dallas. "I have to create things she'll want to wear, no matter who she is."